Gina Marie Tanza Drakos was born on August 20, 1968 on Long Island, New York. Gina is a graduate of Smithtown High School West and attended Boston University where she earned a bachelor’s degree in Deaf Studies. She then studied Deaf Infant, Toddler, and Preschool Education at Kent State University and went on to earn a master’s degree in Deaf Education from Boston University. Before having children of her own, Gina devoted her life to passionately advocating for Deaf children and their families. She worked in Early Intervention with families with children age birth to three and also taught Deaf preschoolers for many years at both the South Shore Educational Collaborative and The Learning Center for the Deaf. She was a brilliant, compassionate, and nurturing educator who was capable of seeing each individual child for who they were, and helping each one succeed beyond what they thought possible for themselves. After the birth of her children, Gina worked as an educational advocate as well as an educational surrogate for Deaf children in the foster care system. She impacted the lives of countless Deaf children and their families through her fierce advocacy for the rights of Deaf children. Gina met her husband, Peter, in 1989 and they married in 2000. Over the last thirty years they have enjoyed countless adventures together, the biggest of which was raising their three beautiful children, Peter John, Jr., Isabella, and Claudia. Gina’s heart and soul were dedicated to her family. She was a devoted, loving wife to Peter and a caring, supportive mother who was thrilled to be present for her children in all aspects of their lives, applauding their academic, artistic, and athletic successes and cheering them on from the sidelines of soccer and football fields, the stands of hockey arenas, and front rows of concert halls. She was also an imminently thoughtful friend who always remembered the small details that made her friends feel loved. Gina did not wish there to be a memorial service following her death, but rather, wanted her friends and family to reflect on her life with happiness and love. 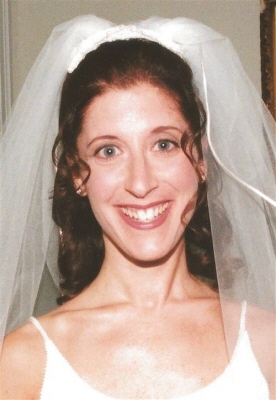 Gina requested that her ashes be scattered both on Kiawah Island, an incredibly special place to her family, and Hart Island, where her twin sister, who died shortly after their birth, is buried. A celebration of Gina’s life will be planned in the coming months. To send flowers or a remembrance gift to the family of Gina Drakos, please visit our Tribute Store. "Email Address" would like to share the life celebration of Gina Drakos. Click on the "link" to go to share a favorite memory or leave a condolence message for the family.